Understanding dopamine’s functions is a work in progress. Over 110,000 research papers have been written about it, yet scientists are still trying to determine exactly what it does. Here are some of the known functions of dopamine: Dopamine is crucial to the feeling of motivation you need to work towards both long-term and short-term goals. It delivers a feeling of satisfaction when you’ve accomplished what you set out to do. Dopamine is released when your needs are about to be met . The cause of schizophrenia is unknown, but genetics and environmental factors are believed to play a role. One prevailing theory is that it’s caused by an overactive dopamine system . Supporting evidence for this theory is that the best drugs to treat schizophrenia symptoms resemble dopamine and block dopamine receptors. However, these medications can take days to work, which indicates that the exact mechanism is not yet fully understood. 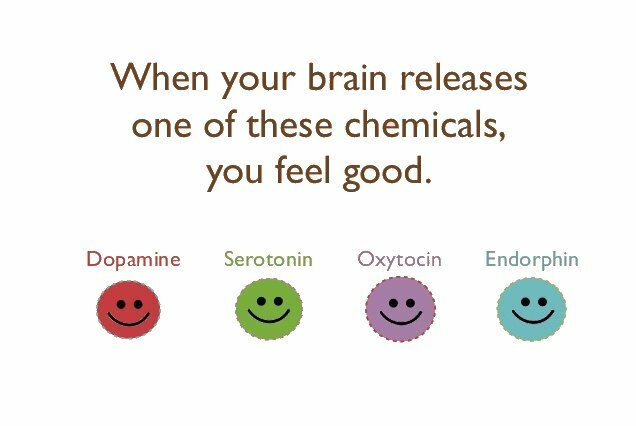 Any activity that makes you feel happy and relaxed increases dopamine. Physical exercise increases dopamine and other feel-good neurotransmitters and is responsible for what’s known as “runner’s high”. Get a therapeutic massage. It can boost dopamine by over 30 percent. Meditation increases dopamine. So do mind-focusing hobbies like knitting, home repair, gardening, painting, photography, or woodworking. Playing and listening to music you enjoy releases dopamine . Engage in “seeking and finding” activities. This emulates the hunt that provided our ancestors with their dopamine boosts. Take on new challenges and set small milestones. Accomplishing goals, even small ones, trains your brain to release dopamine. Deane AlbanThis article was brought to you by Deane Alban, a health information researcher, writer and teacher for over 25 years. For more helpful articles about improving your cognitive and mental health, visit BeBrainFit.com today. Categories: dopamine | Tags: addiction, adhd, brain, cravings, curcumin, depression, diet, dopamine, exercise, fatigue, Fibromyalgia, forgetfulness, happiness, insomnia, libido, mental health, Parkinson’s, physical activity, schizophrenia, stress, weight-loss | Permalink.